Rhodri Davey is Joint Managing Partner at Kitsons LLP. Rhodri studied law at Nottingham Trent University and Nottingham Law School before returning to the South West where he trained and qualified with Nash & Co. In 2000 he joined Ashfords (then Bevan Ashford) where he specialised in employment law before joining Kitsons Solicitors as partner to head-up the Employment Team in 2007. 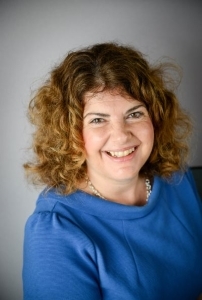 Rachel is a partner and joined Gard and Co in 1998, initially specialising in residential conveyancing and then subsequently moving to the Family Department in order to diversify as a lawyer and to widen her areas of legal expertise. Sue became vice-president in 2016 and and president in 2017. She specialises in residential property of all descriptions and sits on the Conveyancing and Land Law Committee at the Law Society.She also represents the Law Society on the NHBC Council. She sits on the advisory panel advising the Law Commission in its investigations. Martin became president of Plymouth Law Society on 1st January 2016. He specialises in family and divorce, wills and probate, Court of Protection work and also residential conveyancing. He was admitted by the Law Society as a Solicitor in 1982 and has practised in Plymouth ever since. He formed Clark & Weeks with Tony Clark in 1997. James has been the Plymouth Law Society Treasurer since 2012. James is one of the South West's leading industrial disease litigators with more than two decades of experience, and a specialist focus on high value asbestos claims. James is recognised on a national platform for his experience in asbestos disease claims, in particular those related to mesothelioma victims. He has also developed a formidable reputation in industrial deafness litigation, together with securing significant damages in public and employer liability cases. James is a member of the Law Society Personal Injury Panel and an accredited occupational disease and asbestos disease specialist with the Association of Personal Injury Lawyers (APIL). James was the second individual to be appointed and remains just one of 20 in the country to receive the accreditation. Steven has been heavily involved in Plymouth Law Society since 2010 and was president in 2012. He is the past president of ASWLS which comprises Bristol Law Society, Cornwall Law Society, Devon & Somerset Law Society, Gloucestershire & Wiltshire Law Society, Monmouth Law Society and Plymouth Law Society. Steven is senior and managing partner of Gard & Co. He qualified in 1983 and has since that time practised in Plymouth. In the late 1980s Steven gravitated from general property work towards specialising in commercial property work and in particular in business transfers. During the last 25 years he has been involved in the legal work associated with the transfer of most types of business, acting for sole traders, partnerships and limited companies based in different parts of the country, but particularly in the south west peninsula.